The jadeite plaque is carved with three scholars standing below a pine tree with a monkey clambering in its leaves. It is inscribed with two characters reading "Fu zheng". The stone is of an apple-green tone. 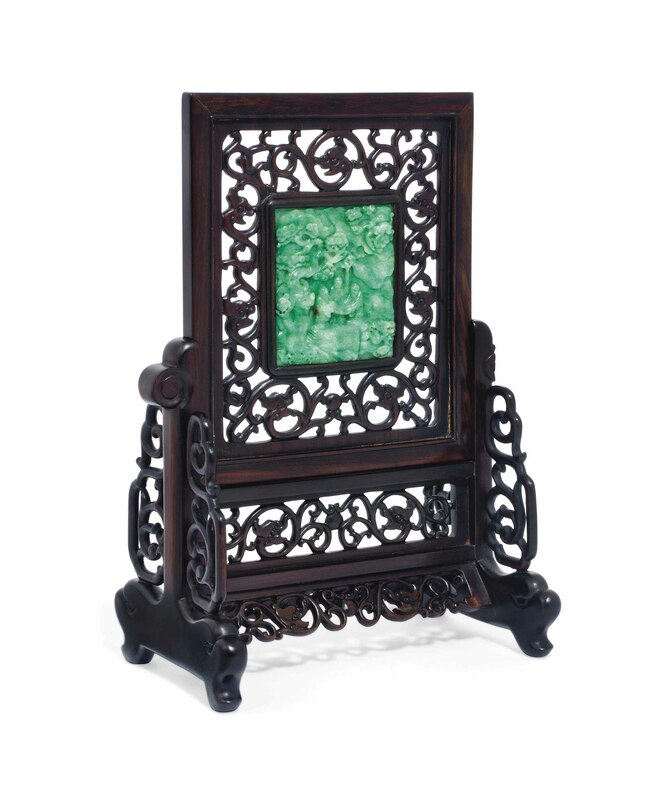 It is mounted in a screen decorated in openwork with a pattern of stylised dragons that is repeated on the stand. Acquired in France in 2001.